I work in a district with next to no funding for professional development. As a result, I’ve had to aggressively pursue my own learning to stay current with the changes happening in education. I follow interesting people on Twitter, read popular education blogs, and attend as many sessions as possible at the conferences where I speak. For teachers who are looking for an alternative to traditional conferences, which can be expensive to attend if your school doesn’t pay your registration, travel, room, and board, SimpleK12 offers a convenient alternative…professional development in your PJs. 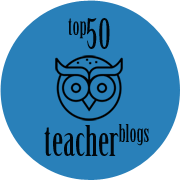 I’ve had the pleasure of presenting over 70 webinars for SimpleK12 over the last four years! 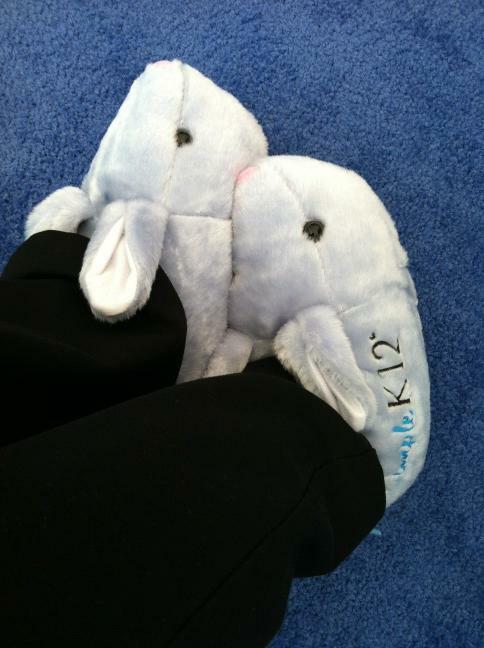 As a presenter I love rolling out of bed in my pajamas, slipping on my SimpleK12 bunny slippers, and presenting from the comfort of my own home. I’ve presented topics ranging from blended learning to Google Apps to Common Core. 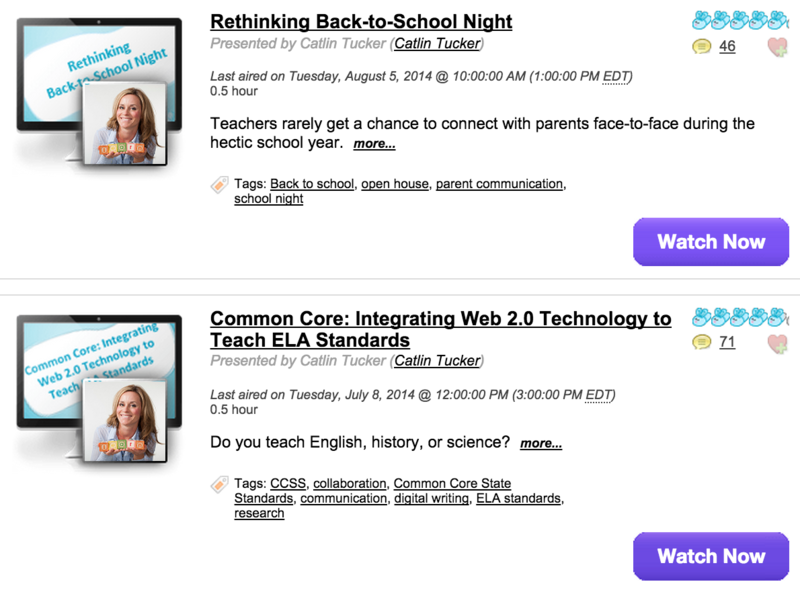 SimpleK12 has an impressive collection of presenters who cover a wide range of topics. There are events throughout the year that are free and open to the public, which anyone can attend. Teachers with a membership can search the archive of webinars and watch any of them on demand. They can also earn Certificates of Completion (CEUs) for attending webinars. I love the on-demand option! When I’m interested in exploring a new Edtech topic or trend, I stop by SimpleK12 to see what is available on demand. It’s a great resource and the cost of the membership is about the same as you pay to register for one conference. I recently participated in a conference call with the SimpleK12 about ways to improve on their current offerings. In exchange for my time, they offered me a 6-month full membership to give away to one of my readers. Click here to fill out the form to enter the giveaway! I will select a winner on July 25th in time for the lucky winner to gear up for the new school year with some free PD in their PJs! I LOVE SimpleK12! I’ve learned so much from you and so many others. It is really an amazing deal and so worth the time. You can find just what you need when you need it. I’m also interested in your new book. I teach 5th and 6th grade language arts. Would your earlier book speak more to my situation since it is for 4-12, or would I find the content for 6-12 adaptable? I absolutely agree that SimpleK12 is just what you need just when you need it! My two books are different. 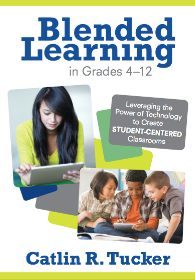 Blended Learning in Grades 4-12 is focused on how teachers can begin to integrate online elements into the traditional classroom to engage students in active learning in class and online. It covers how to establish expectations for online communication and behavior. It provides resources you can use with students to help them be successful online – “dos and don’ts” list for online communication, template for a class contract of agreed upon behaviors and safe space reflection form. It focuses on strategies for building an online community starting with online icebreakers, then talks you through how to design dynamic discussion questions that are academic in nature. 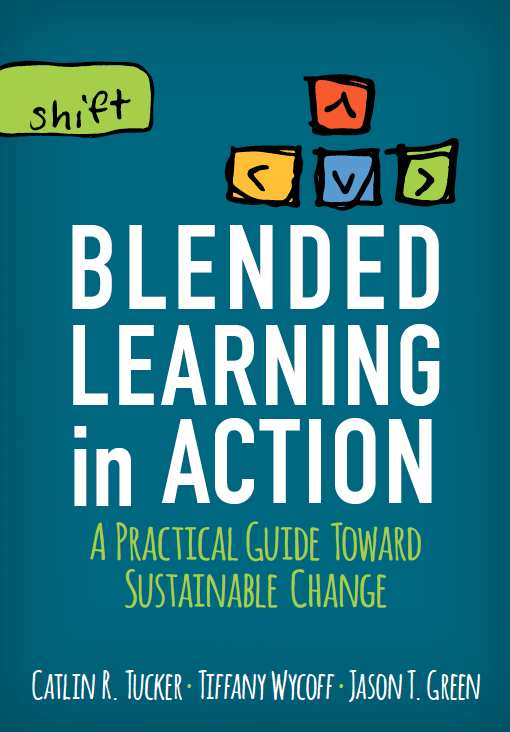 Then there are chapters dedicated to strategies for weaving online work back into the classroom as well as chapters on the flipped classroom model, and assessment. 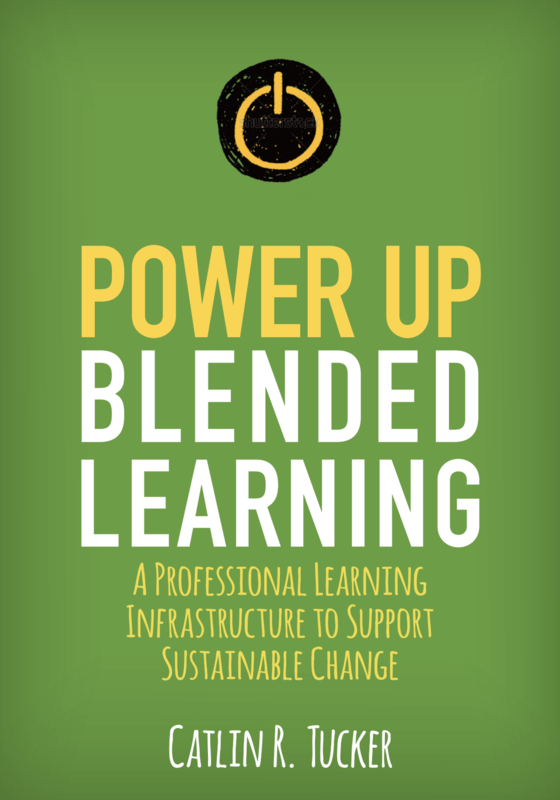 It is a great book for anyone interested in getting started with blended learning. 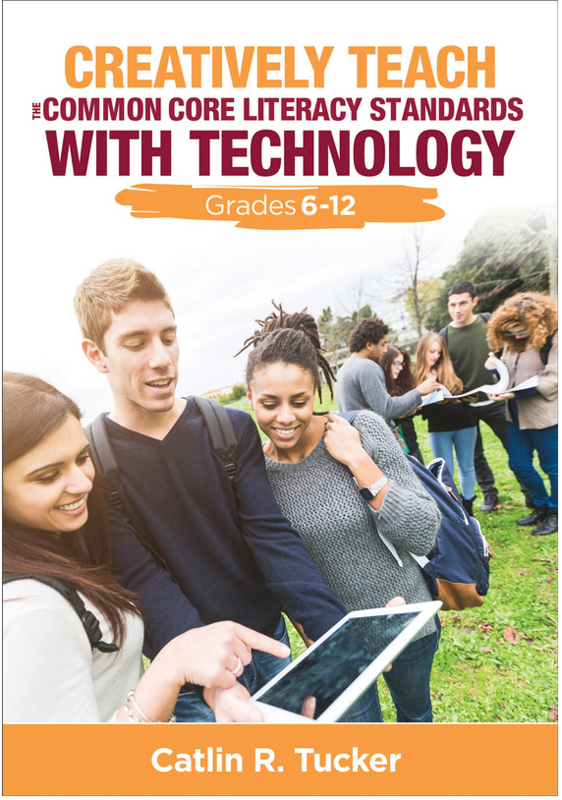 My newest book Creatively Teach the Common Core Literacy Standards with Technology is focused on breaking down the standards in a clear way for teachers then providing creative strategies using a range of technology to help students develop the skills identified for their grade level. The book is targeted to 6-12, but you would not have any trouble adjusting slightly for your 5th-grade students as most of the explanation and activities would wok well for them too. I wrote that book to help teachers understand the Standards and think creatively about how to teach them instead of simply doing what they’ve always done. I think this shift to the Common Core creates a wonderful opportunity to rethink our approach to teaching reading, writing, language and speaking and listening! I hope that helps! Let me know if you have any additional questions. You can also check out the table of contents for both books and see a preview on Amazon if you want more detailed information. I appreciate the distinctions you made. After looking at them, I think I want both. 🙂 I’ve been trying to integrate and keep up with technology (thanks, SimpleK12!! ), but I feel a bit overwhelmed. Your books look like resources I can use to pull things together. Wonderful! I hope you find them helpful, Barb! I love PD in my pjs…I try and read something every morning about education while drinking my coffee. I cannot wait until my mornings are mellow enough for coffee and reading, Sarah! With two kids under 8, my mornings are still hectic leaving little time to catch up on my reading! How do you become a presenter for Simplek12? Thanks for any advice you can offer! Simple K12 invited me to present. You may try to contact them via the contact info on their site if you are interested in presenting.